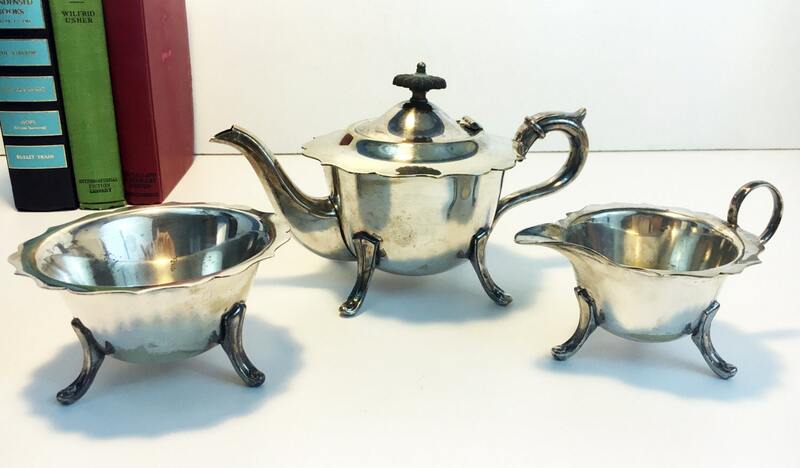 Description: Lovely Sheffield silver plate EPNS teapot, milk creamer and sugar bowl. Edges to each are scalloped in a delicate and beautiful design. 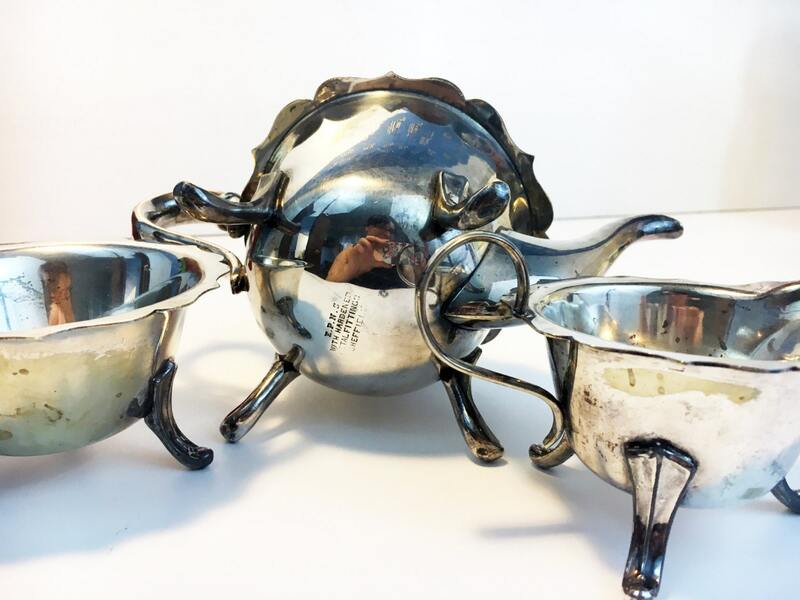 Note this sugar bowl appears to not be the design that has a lid (there is no lip, it's for a lid to fit on). Bottom of each is stamped "E.P.N.S. 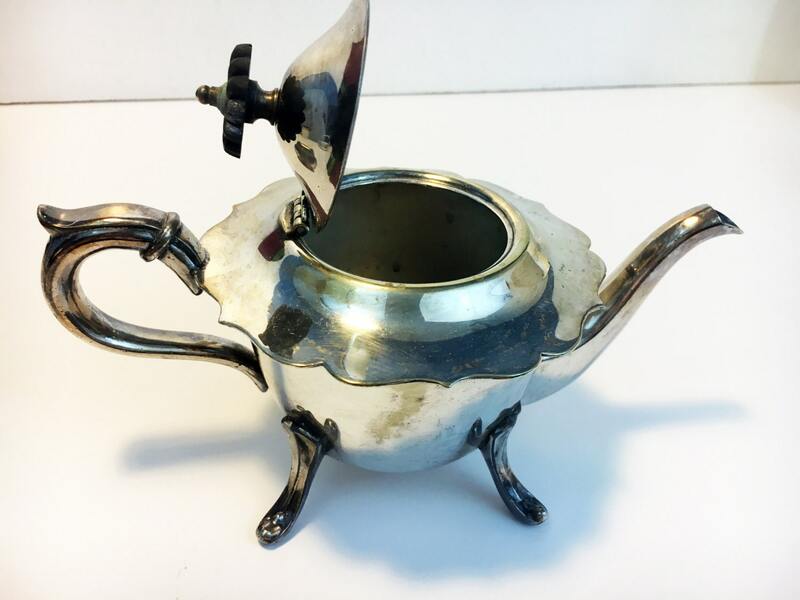 With Hardened Metal Fittings Sheffield"
Teapot: Approx. 4 1/2'' tall, 8 1/2'' from spout to handle, 5'' wide across top (from scalloped edging to scalloped edging). Creamer/Sugar: Approx. 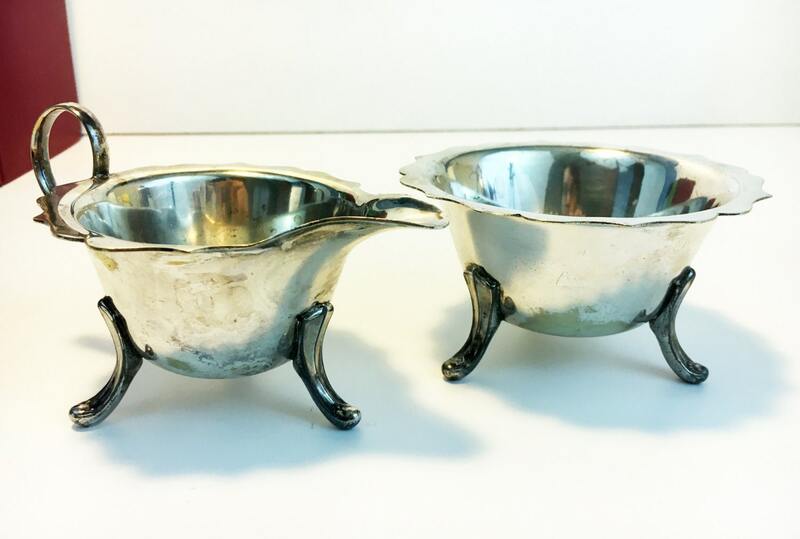 2 1/4'' tall, sugar bowl 4 3/8'' across, creamer is 5 1/4'' from spout to handle and 3 5/8'' not including spout and handle. 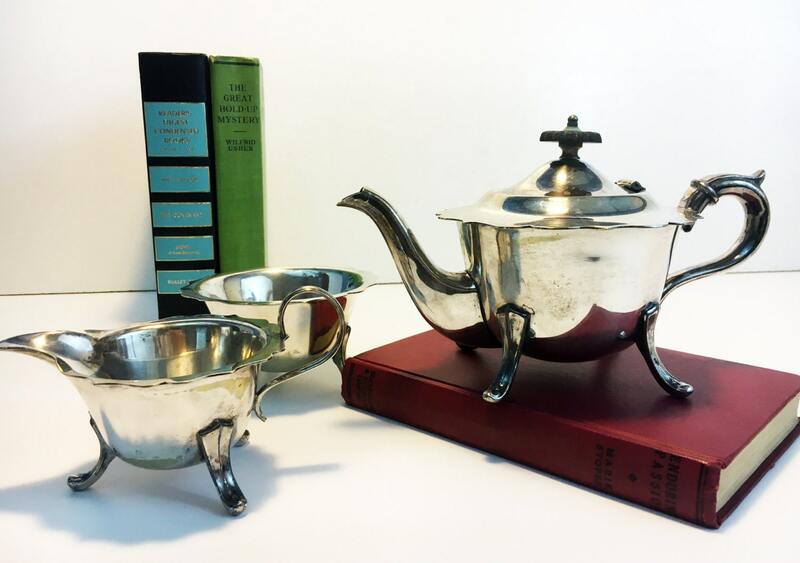 Very useable and a great addition to any afternoon tea. Also a great one-of-a-kind gift item for a wedding shower, anniversary or special occasion.